With high risk comes high reward, right? But when you're in a risky, dangerous situation, if you're not properly protected - there may be no reward. Guard yourself with this Caterpillar Men's 1310008 407 Hi-Vis Yellow Softshell Water-Resistant Work Jacket...it's AN ... (see full details) (see specifications) #45968. With high risk comes high reward, right? But when you're in a risky, dangerous situation, if you're not properly protected - there may be no reward. Guard yourself with this Caterpillar Men's 1310008 407 Hi-Vis Yellow Softshell Water-Resistant Work Jacket...it's ANSI certified: Class 3, EN ISO 20471 certified: Class 3, and equipped to battle the elements. You can take on the day when you're wearing this Caterpillar jacket, as it'll provide you with warmth and confidence. The hi-vis jacket is ready to perform, as it has 3M Scotchlite reflective tape on the front and back to help you stay visible in low lighting situations. The 100% polyester mechanical twill that makes up the men's jacket provides durability and comfort. The exterior of the hi-vis jacket is composed of a special Storm Blacket, which makes it water-resistant, windproof, and breathable. When outdoor elements become not-so-ideal, you'll be prepared when you're wearing this Caterpillar outerwear. The self-fabric collar helps block out the wind, too. You can utilize the adjustable cuffs that have hook-and-loop closures and logo rubber tabs to find the best fit for you to prevent the cold air from getting to your wrists. There are front reach-in handwarmer pockets that have secure zip closures, so you can store your cell phone, keys, and small tools right on your person if you need to - and you can use them to warm up your hands as well. For even more warmth, there's a full front zip with a storm flap and a beard guard on the yellow jacket to keep the front you nice and cozy. A zip closure pocket with a logo label on the left chest gives you even more storage space, and there's also a logo label on the back neck. 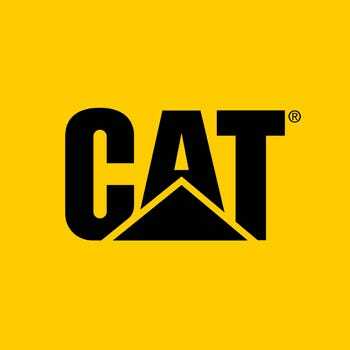 When it comes to dependability, Caterpillar has you covered, and you can let everyone know it with these logos. Reward yourself by ordering this Caterpillar Men's 1310008 407 Hi-Vis Yellow Softshell Water-Resistant Jacket from Working Person's Store. You'll be seen better with the reflective tape, and you'll stay warm and dry, thanks to the durable design. I purchased this for when I am out using the snowthrower at night. We live on a corner street and the cars need to see me when I am removing the snow from out driveway and side walk. I will use this with my orange rib acrylic watch cap so I will be seen at night by passing cars on our street. You can wear layers under the jacket since it is not insulated. Great jacket. Bought it for using it at night when I am out with the snow thrower. We live right on the corner and I want to be seem at night. I used the jacket once this season so far. Waiting for my one big storm that I ask for. As always I remain thoroughly impressed by the customer service offered by The Working Person's Store. Your company will always be my first choice when shopping for the kind of things you offer. Caterpillar Jackets: Men's 1310008 407 Hi-Vis Yellow Water-Resistant Softshell Jacket is being added to your cart.